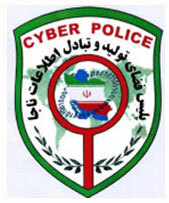 HRANA News Agency – Seven police officers from Iran’s Cyber Police (FATA) were detained in Iran, with connection to the death of a local blogger, Sattar Beheshti. According to a report by Human Rights Activists News Agency (HRANA), quoted from ISNA, Judiciary Spokesman and Attorney General Gholam-Hossein Mohseni-Ejei said that after interrogation, three of the detained officers were released. The 35-year-old who ran an anti-government blog died possibly as a result of torture, Amnesty International said. After the International condemnation of the incident, Iran’s parliament has said to launch an investigation on the incident. Mehr News Agency reported on Saturday that Iranian National Police Chief Esmaeil Ahmadi-Moqaddam has fired cyber police (the Fata) Chief Saeid Shokrian for his negligence over the death of Sattar Beheshti. Ahmadi-Moqaddam added that another act of negligence can be that he was prescribed sedative drugs by the prison’s health center and when he was handed over to Iran’s Cyber Police, he was not allowed to take them because the necessary prescription and the permit to take them were not available at the time.